Alba 1924 Guesthouse has four rooms on the Paseo de la Castellana, financial, shopping and entertainment just a few meters from the Plaza de Cuzco, Santiago Bernabeu Stadium, and esposiciones Congress, Plaza de Castilla and business center Azca. We can assure the tranquility idonea for rest, in contrast to one step of an environment where you can enjoy diverse restaurants and entertainment, both to young to not so young. Alba 1924 Guesthouse has four large rooms and windows facing the street with double glazing, three double bed 150, one with a small twin terraza. 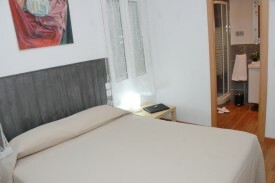 Una 90, all have full bathroom with shower, toiletries, hairdryer, wi-fi, television plana. 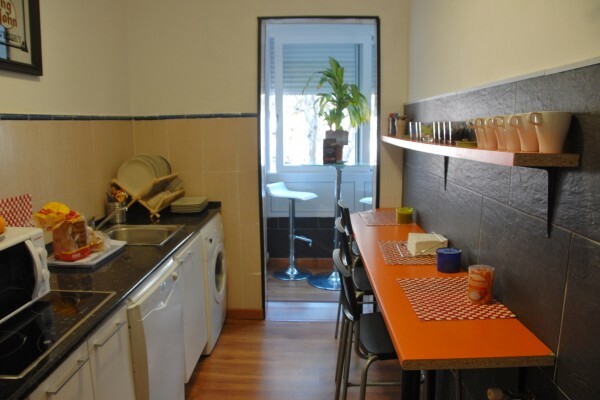 Disponemos an office with fridge, microwave, coffee maker, juicer, toaster, General purpose all rooms, which has a small terrace and a bar. Alba 1924 Guesthouse has four large rooms and windows facing the street with double glazing, three double bed 150, one with a small terrace. A 90 twin, all have bathroom with shower, toiletries, hairdryer, wi-fi, flat screen TV. We have an office with fridge, microwave, coffee maker, juicer, toaster, General purpose all rooms, which has a small terrace and a bar. The price of the room in normal season is 40€ for single and 50€ for two people, ask for prices for stays of more than 4 days. We have discounts of up to 20% in low season. No experiences yet with Alba 1924. Be the first! Did you stay in Alba 1924? Let us know what you thought about it and help others to make the right choice! * I confirm having stayed in Alba 1924.